Most tooth loss is the result of gum disease, not decay. It can often go unnoticed until the infection has reached the advanced stages and you are losing teeth. If you have symptoms of bleeding gums from brushing or loose teeth, contact us immediately. Gum disease can be reversed with nonsurgical methods if treatment is started in early stages. There have been demonstrated links between gum disease and life-threatening conditions such as cardiovascular disease, stroke, and diabetes. Dentists are taking the findings of recent medical research seriously, as gum disease can have a more profound effect on your health than just tooth loss. The American Dental Association estimates nearly 80% of Americans have some level of gum disease. Dentists consider this evidence of an epidemic. Advanced gum disease typically requires surgery. (Please visit our Dental Laser page for information on laser treatment for gum disease.) But in cases where the infection is in milder stages, nonsurgical methods combined with improved dental hygiene can be used to control and even reverse the condition. 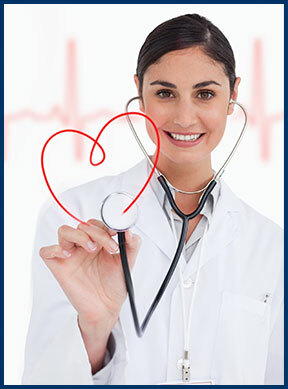 Both procedures are often covered by most dental insurance plans. Many people think losing a tooth isn’t a big deal, but the truth is that even just one missing tooth can cause problems. It affects proper chewing and interferes with absorbing nutrients from your food properly. It may become difficult to chew, so softer foods of higher calorie content may be favored, which results in weight gain. Your face may take on a hollowed look that increases as bone loss in the jaw occurs. Your speech may not always be understandable and cause embarrassment. 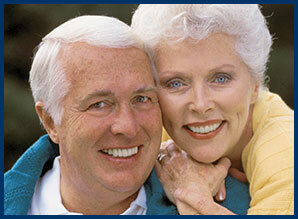 The best way to restore a full dental arch is with dental implants. They can replace as many teeth as you have missing, and they look natural and function as if they were your own teeth. 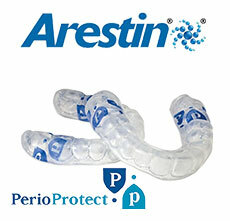 We now offer patients a potent antibiotic called ARESTIN™. It is a powder containing tiny microspheres that are time-released and applied directly to the infection site. It painlessly kills the bacteria in the gums, allowing them to heal and return to health. 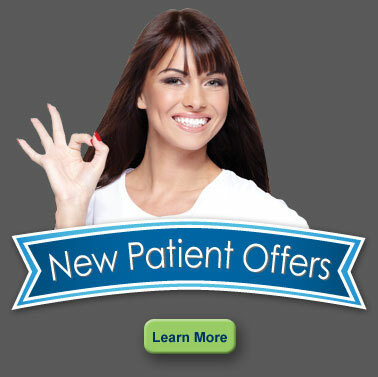 Another option we offer is called Perio Protect™, which is as easy as wearing a teeth-whitening tray! Gum disease can be treated quickly and effectively, but only when the medication stays between the teeth and beneath the gum line. Up until now the problem has always keeping the medication in place in these areas. The body has a continual flow of saliva that quickly washes away medications. This severely restricts the effectiveness of any gum treatment. The breakthrough with Perio Protect is that the special trays keep the medication in place for a much longer period of time. This means healing can happen very quickly. Oral DNA Testing – What Are the Patient Benefits? Using oral DNA testing, we determine a patient’s genetic predisposition to inflammatory gum infections. This also reveals the types of bacteria, leading to more effective treatment. These quick tests are noninvasive and allow us to outline a unique treatment just for you. We can help you arrest gum disease and bring your smile back to health again. Give us a call today at (510) 530-7000.